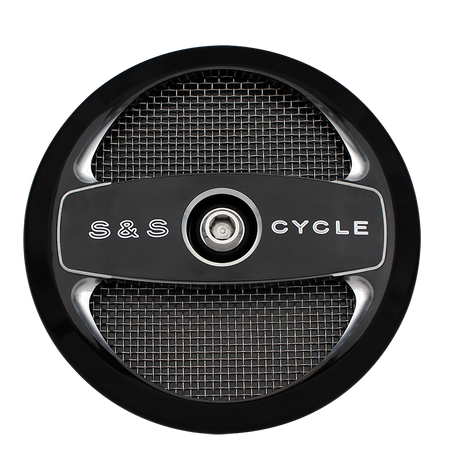 The Air 1 cover for S&S® Stealth air cleaners is CNC machined from billet aluminum, given a gloss black powder coat finish and is contrast engraved for a distinctive look. A metal screen behind the cut out pattern adds an attractive texture. 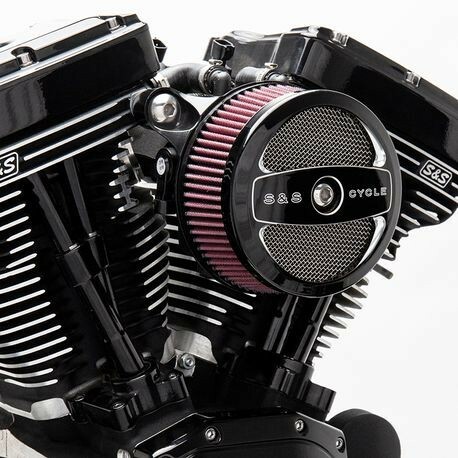 The center mounting bolt is hidden behind a billet aluminum badge that simply plugs into the Air 1 cover.